Ooty is a well known hill station in South India, it is also nick named the ‘Queen of Hill Stations.’ This quaint hill station is surrounded by thick forest reserve, national parks and tea gardens. The places of interest are Botanical Gardens, Nanjangud-Nanjundeshwar Temple, Wildlife Sanctuaries, Pykara Dam, Kamaraja Sagar, Kalatti Falls, and Kamaraja Sagar. Some 3 and 4 star hotels are, Wellbeck Rescidency and Deccan Park. Visit Shinkow’s Chinese Restaurant for good Chinese food and Sidewalk Cafe for the Italian cuisine. The nearest airport is Coimbatore, roughly 88 km away and the nearest railway station is Mettupalyam, about 40 km from Ooty; however, the city is connected with an excellent road system. After breakfast proceed for a site seeing tour of Ooty. Visit the Doddabeta Peak which is the highest peak of Ooty. From here you will get a very panoramic view of the neighboring regions. By noon back at Ooty town. 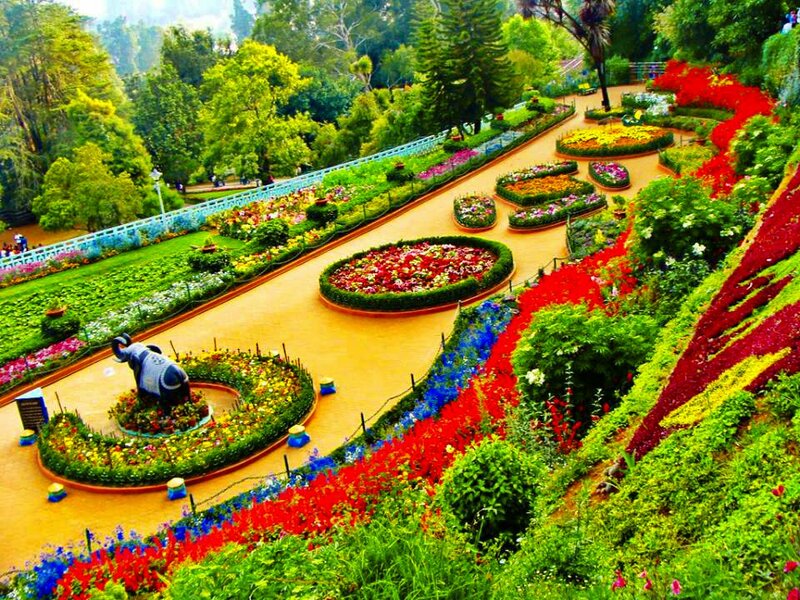 Afternoon visit the famous Botanical garden built in 1847 and the Ooty Lake were boating facility is available. Horse-back riding around the lake also is available. Evening visit Coonoor. Overnight at Ooty. After breakfast from hotel, comfortably check out and proceed to Coimbatore Airport / Railway station.Tour ends with a smile and sweet memories. 9. Check in time of houseboat is 12 noon and check out is at 9 am .Houseboat will not make cruise from 5.30 pm to 7.30 am. 10% of package cost as service charge for more than 25 days noticed 25% of package cost as Cancellation charge for 14 days noticed cancellation. Pay 20 now to book this package. Taxes Additional.